Dropout drifter Hall has crossed the country doing whatever comes his way. Working the "Graveyard Shift" in a decaying Massachusetts mill under a bullying foreman is just one more leg in his crazy quilt journey, until it leads to a nether realm where the Rat Queen defends her empire. Things are never as they seem, as "The Man Who Loved Flowers" proves one perfect Spring evening on the sidewalks of New York. In "The Last Rung on the Ladder" beautiful Kitty hangs from dizzying heights above a hideous fate and, in "Night Surf," a group of teenagers on a late summer beach watch the world end in a gruesome, viral whimper. The mind-numbing secrets of "Jerusalem's Lot" wait in an ancestral mansion where blood binds the Boone family to a timeless history of unspeakable evil. 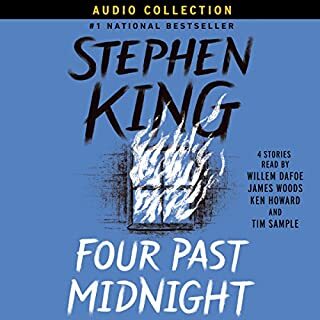 ©1976 Stephen King (P)1994 Bantam Doubleday Dell Audio Publishing, Bantam Doubleday Dell Audio Publishing, A Division of Random House, Inc. These are the "oldies but goodies" of the King short stories. I wish Night Shift was all in one volume but the production values are well worth the cost. The narrator was very good. Narrator did the best on The Man Who Loved Flowers and Jerusalem's Lot. Stories are classic Stephen King. If you're a King fan you won't be dissappointed! While the dissecting of Night Shift into three parts appears to be a shameless grab for money, this volume is a bargain and a half. 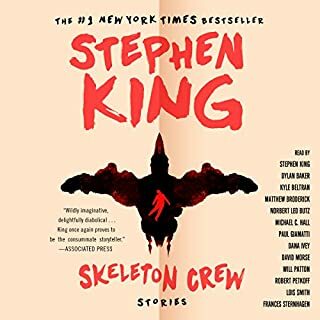 Some of the best of King's short fiction collection is here - the brutal and ravaging "Graveyard Shift" and utterly chilling "Jerusalem's Lot" - among less horrifying but equally well-told tales like "The Last Rung on the Ladder" and "Night Surf". 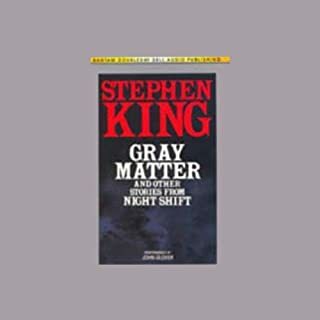 Courtesy of John Glover, who lends a multi-textured performance across all of the stories contained in this selection, the listener can truly hear the beginnings of the masterful writing that would go on to create masterpiece novels like "The Stand" and "'Salem's Lot". When "The Man Who Loved Flowers" is the least terrifying of the bunch (and don't let the name or that description fool you), you know you're in for a wicked treat as only King can deliver. For the price it is a rip-off!!! 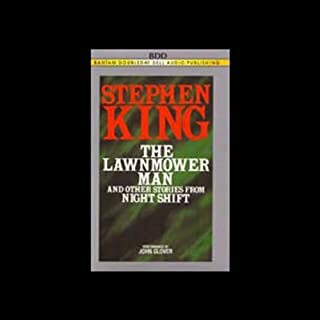 Another of Stephen King (the worlds best story tellers) early works. Great! See where this amazing, epic writing creative genius cut his teeth. It's a simpler form of writing for him and he's come a long way, but these stories stand up on their own along side of his greatest books. I totally recommend this book if your interested in his early work. The audio is great in this one of the three part series and John Glover is absolutely spot on. Reading with great passion and talent. He makes it seem like he's telling you a story of his own. 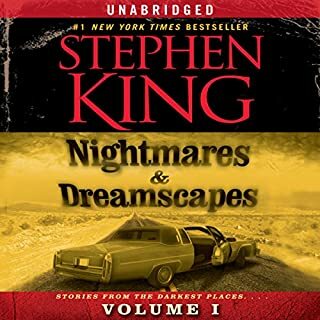 Book is great for road trips if your a King fan. Most stories are standard King others give you the "humm?" look. Over all great short book. I loved it! 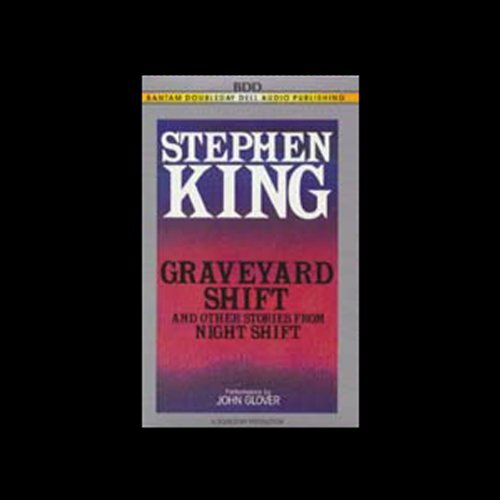 Graveyard Shift and Jerusalem's lot are by far my favorite Stephen King short stories. Always a good read. Don't listen with the lights out. Would you listen to Graveyard Shift and Other Stories From Night Shift again? Why? I would. These stories are great from beginning to end. I loved Charles Boone. In his story. There is great interest,since I loved the letter format, and first person presentation. Which character – as performed by John Glover – was your favorite? The end of graveyard shift. 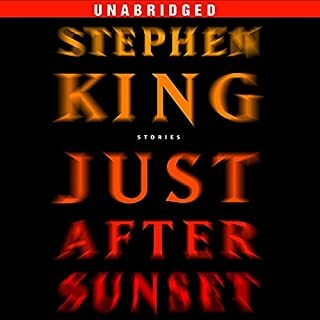 The stories were short and scary-ish, but they didn't grip me like Kings stories usually do. I have listened to this over and over again. excellent stories really brought to life with narration. wish I could personally hire this guy to read to me.